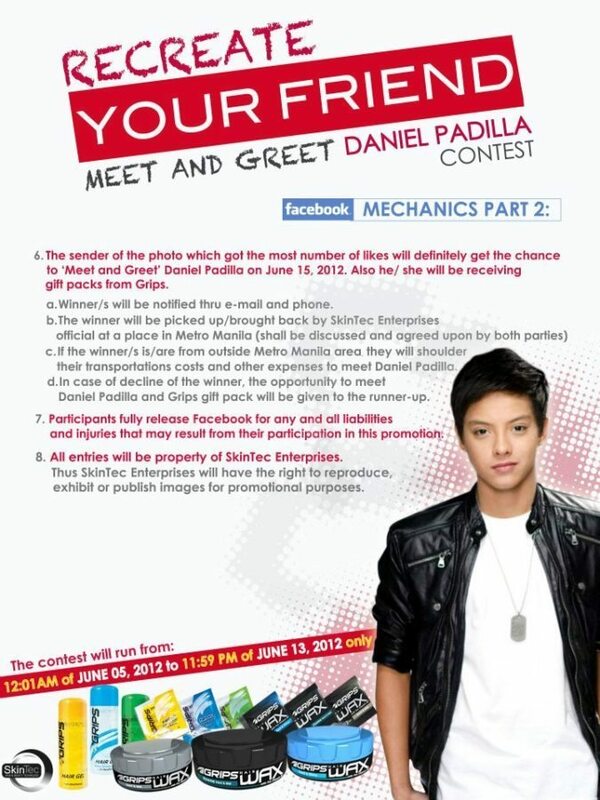 Here’s something for tweens, teens, and all Daniel Padilla fans, a chance to meet the actor and singer himself. How? Grips Hair Wax & Gels is running a promotion until June 13, 2012 where participants get a chance to win an exclusive meet and greet with the actor and singer from the Kapamilya Network, Daniel Padilla! Like Grips Facebook Account for more info!